Little did I realize that if I lived long enough I’d eventually become mainstream. Tattoos now cover me from shoulder to wrist, but with the ubiquity of body art today, in many of the places I hang out I look more like a soccer mom than an outlaw. Even the ill-advised and regrettable tattoos are part of my story, and ultimately, that’s what tattoos are: a way to wear stories–– our mistakes, celebrations, relationships, insights and losses–– on the skin. Today, as an ordained Lutheran pastor, when I stand behind the altar table on Sundays and lift up the bread and wine and tell the story of the night Jesus gathered with his faltering friends for a meal that tasted of freedom, the arms that lift those common and holy things are themselves, common. 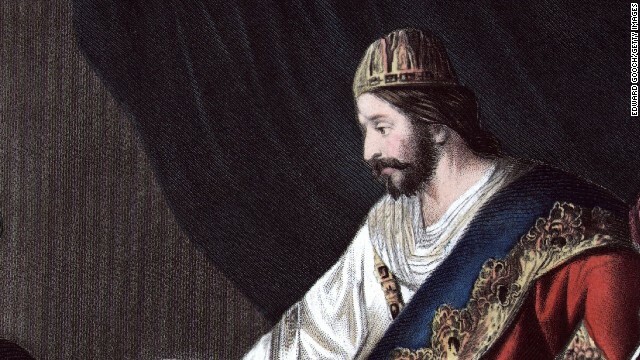 Modern Jews are precisely the community King David envisioned, says scholar Joel Baden. (CNN) - Most American Jews consider Judaism to be mainly a matter of culture and ancestry, according to a recent poll. An even higher percentage describe themselves as emotionally attached to Israel. For this we have one person to thank: King David. The Israel we know today is a nation that David created virtually out of thin air. Before David, there were two territories, Israel to the north, and Judah to the south. By sheer force of personality—and, to be fair, substantial military strength—David combined these two lands under a single crown (his). Not only had this never happened before; no one had ever thought of it before. Although the Bible makes it sound as if everyone loved David, and were desperate to follow him, this wasn’t really the case. David took power by force.